When a doctor loses everything and is forced to start over, he finds himself in a strange town filled with addiction and mental illness. Now he must find a way to survive his dark and deadly patients … Dr. Aaron Rovsing, Family Practice Physician, is charged with incompetence and fired from his medical practice in Connecticut. After he flees and starts over in a town in East Texas, he discovers that things are not as they first appear, and soon Aaron must combat the deranged and addicted minds of the townspeople. But things take a deadly turn when he finds himself the next chosen victim of a serial killer who plans to add the doctor to his collection of skeletons. In this town of insanity and with a serial killer waiting to strike, how can Aaron manage to stay sane . . . and alive? Something’s not right, Aaron thought. He touched the bandage taped to his lower jaw and then eased open the door to the chief of staff’s office. 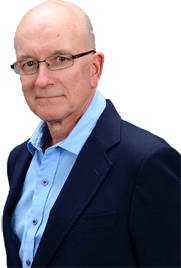 Aaron Rovsing, MD peeked around the office door into an anteroom, and a wide-eyed secretary shot up from behind a desk. “Do you know what this is about?” Aaron said. Aaron stepped past her and glanced around the inner meeting room. Three medical staff members sat flanking the chief of staff at the far end of a polished rectangular mahogany table. “Sit down,” the chief said. Aaron sat on the edge of a chair. “My clinical . . .” Aaron gulped. Aaron scribbled his name with shaky fingers. Aaron stumbled out of the room, striking his shoulder on the doorjamb. As he hurried down the hall, Reuben, a doctor friend of his, hailed and approached him. “Did something happen? You look pale as a ghost,” Reuben said. Aaron sputtered, his eyes wide. “The chief just asked me to resign.” He turned to the wall as two nurses clattered by, their giggles echoing down the glistening hallway. Floating before his eyes was an image of the chief, a muscular and athletic man whose eyes gloated over everyone, a man with a commanding presence in any room. I don’t think I could stand up to the chief, he thought. Aaron dropped his head and walked away, avoiding eye contact with anyone else. What will my wife say? Outside in the late winter chill, he pulled his coat tight around him and walked to his car in the hospital parking lot. Lauren will help me. We can get through this together. His hands squeezed the steering wheel. I wonder if I should fight back. The overdose was not my fault. That could’ve happened to any doctor. Even with the car heater blasting, he shivered during his drive home. Aaron stood by their bed and scratched his cheek. He was alone. Did she have an emergency? She has been acting different lately, like she’s stressed over something. In the kitchen, he spotted a yellow post-it note on an otherwise bare counter. Uncaring, foul words that blurred into black blobs on the paper. Aaron’s body buckled. As he slumped to his knees, the bandage slipped off his jaw and fluttered to the floor. Something is different out there, Aaron thought as he stared out the windshield of his car. With the air conditioner near the maximum setting, he drove along the two-lane country road at dusk, 1500 miles from his previous life. He’d scoped out this area a few months before, but now that he was moving here, he paid more attention to details. Looking toward the sky, he saw pine trees swaying over the road. These trees are taller than the ones a few miles back. After finding a country music station on the car radio, he cranked up the volume. I’ve got to give country music a chance. Aaron swayed in time with the melody. It was a song about feeling crazy over a hopeless love. ‘Crazy,’ by Patsy Cline,” the DJ said. He glanced at his shoes and slapped his knee. “And I need to get some boots, real cowboy boots.” As his mind wandered to his recent divorce, he shut his eyes and shook his head. “What the . . .” He jammed the brake pedal and jerked the steering wheel to avoid something—a figure—darting across the road in front of his car. Screeching and sliding in a 180-degree oval, the car came to rest on the shoulder at the opposite side of the road. Aaron gasped for breath and his heart pounded. His knuckles were white on the steering wheel. Easing his grip, he looked in the direction of the figure. After turning the car off, Aaron stepped out onto unsteady legs and examined the front bumper and the road nearby. No other headlights were in sight. A smell of burnt rubber permeated the muggy air. Standing still, he scanned the nearby trees and listened. Soft footsteps in the trees? He walked around and studied the pavement and the grass beside the road. Well, whatever the hell it was, at least I didn’t hit it. Maybe it was a deer. After several minutes, his breathing slowed and his jitters eased. He started the car, punched the radio off, and made a U-turn, squinting for any sign of motion. A hazy image of a frowning, bald man popped into his mind. Surely that wasn’t him I almost hit: the guy with the machete? After several miles, Aaron slowed to a stop in his driveway. He gazed at the front of his new home and sighed. I can’t believe it. I’m finally here. He unlocked the front door, switched on a light inside and surveyed the empty rooms. So it starts, he thought. A new chapter. “Should I even be here?” he said, slapping the wall. He sighed and walked outside to the street in front of his house. They’re chintzy on the streetlights. Maybe the Texas moon gives off enough light. “Yikes.” He threw up his arms and ducked as a bird flapped by just over his head. He looked up but didn’t see anything. His house was at the end of a row of one-story homes, and across the street was fenced-in land that sloped up to a mansion. I guess someone owns all that property. Maybe it goes with that huge house on the hill. As Aaron carried in bags and boxes from his car, an owl hooted from a grove of trees nearby. After emptying his car, he wiped the sweat off his forehead and plopped down on top of a sleeping bag. He closed his eyes. No, get something to eat first. He forced himself to walk outside, and he took a deep breath of fresh evening air and looked up at the stars. After pushing his car air conditioner to the max, he consulted a restaurant guide and some map pages scattered over the front seat and planned a route to a nearby diner. Several miles and a few turns later, he spotted the diner’s sign and saw lights inside the restaurant. Good, it’s open. He parked and walked inside to an aroma of cinnamon and apples. Mmm, apple pie. “Hungry,” Aaron said as he gazed at her. Mid to late forties, I’d guess. She was tall and pudgy, with jet-black hair. Wanda stopped by a table with two occupants and motioned toward Aaron. A woman and child stood from the table and followed Wanda to his booth. “This is Dr. Rovsing, our new doctor in town,” Wanda said to the woman. Aaron stood and they shook hands. She’s got quite a grip. “Nice to meet you. I’m Marley.” She had short blond hair and stood a few inches shorter than Aaron’s five feet ten. I might like this town after all, he thought. “You were in the military?” Marley said. “It’s good to meet you. I hope you like it here,” Marley said. Aaron waved at Cristal as she and Marley walked away. Aaron polished off a decent meal of coleslaw, a turkey sandwich, and a slice of apple pie with ice cream. Everything, even the tomatoes on the sandwich, tasted fresh. At one point, he glanced up and caught Wanda staring at him. She turned her head away. That was an odd look in her eyes. When he paid the bill, Wanda’s eyes were back to normal. She was all smiles. Back at his house, all was quiet, except for an occasional hoot from an owl. In less than a minute, he was asleep on a sheet on top of his sleeping bag. Aaron woke up in a pool of sweat. Bright red numbers on the alarm clock showed 3:00 a.m. In the bathroom, he toweled off and dried his short dripping hair. Part of the dream, the fatal Vicodin overdose, had happened in real life over six months ago, but he hadn’t been summoned to court yet. Aaron sighed and gazed at his blue eyes in the mirror. I don’t remember what her eyes were like. He dried his sleeping bag with a towel and stretched out over it, and stared at the ceiling until sunrise. At 8:00 a.m., a moving van rumbled to a stop in front of Aaron’s house. For the rest of the morning, Aaron directed the two men with their payloads of furniture and boxes. They took frequent breaks to drink water and cool off. “What’s in these boxes?” one of the men asked. During one of their breaks, Aaron overheard part of a conversation from the front yard. Aaron walked to his back yard. What are all these cows doing at my house? One of the cows mooed back at him. Aaron laughed. “Thanks. I’ll take that as a ‘welcome to our town.’ ” He watched the herd for several minutes. They don’t seem afraid of me. Resting on the sturdy, flawless fence, he looked beyond the cattle at an undulating green pasture that spread out as far as he could see, to a faint line of trees in the distance. Groups of trees scattered around the pasture provided the cows welcome shade from the midday sun. A cool breeze lifted his hair and ruffled the cows’ fur. He turned in a circle, scanning the horizon. Even the sky seems bigger in Texas. In the late afternoon after the moving van had gone, Aaron stood in his front yard and studied the house. Its light coral paint job was holding up. He strolled around the property, admiring the grassy lawn and azalea bushes that surrounded the house, and stepped into the street. Wow. I can see the heat rising from the asphalt. Including his, four houses stood in the block, separated from each other by groves of pine trees. Sweat ran down the sides of his face. He toweled off and drove to a nearby store to buy supplies. Along the way, he listened to a few country music songs on the radio. After a savory, spicy barbecue dinner at a restaurant not far away, Aaron busied himself with opening boxes and arranging his closet. On his bedroom wall, he hung a framed painting, which featured a dirt footpath winding through the forest. Shoe prints and footprints were imprinted in the dirt. Among the trees at the far end of the path were hazy figures that appeared to be watching. Aaron positioned the painting so he could see it from his bed. This is a rafflecopter giveaway hosted by Partners In Crime Virtual Book Tours for Steven Gossington. 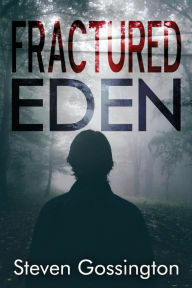 There will be 5 winners of an eBook copy of Fractured Eden by Steven Gossington. The giveaway begins on Jan 24 and runs through Feb 29, 2016. Cookies Cookies and more Cookies !!! Jackpot Candle Jewelry Review !!! !